Thank you for another great scan. 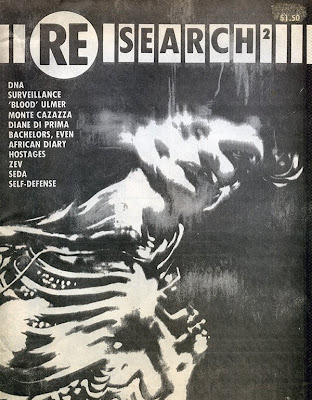 Do you think it is possible to have full scans of Electric Shock Treatment magazine? No, sorry. Never even heard of it before. Just did a search and found a copy for sale, i'll see what i can do. Hey! Just wanted to thank you for your effort. I am having a great time reading this and other zines that until now I have just heard of (I've been looking for Spectrum for a while!). THANKS FOR THE HARD WORK...INSANE! next time just go in and DO NOT ask questions and if they ask LIE!!! I KNOW THE FOUNDER. VAL VALE. I CAN TALK WITH HIM FOR FUTURE THINGS IF YOU LIKE. I AM SURE HE WILL SAY YES, AND PROVIDE A LETTER. I WAS JUST TALKING WITH HIM A FEW WEEKS AGO.